Multi-coloured check shirt by Polo Ralph Lauren. 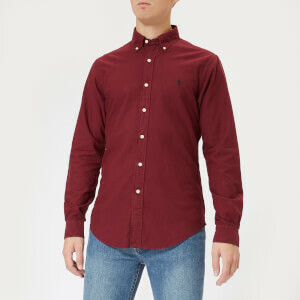 Crafted from quality cotton, the long sleeve shirt comprises a classic design with a button-down collar, a tonal button front placket and a curved hem. A back yoke with box pleat detail also features. Cut in a slim fit. Complete with split buttoned cuffs and the brand's signature embroidered pony logo in green at the chest.